Making these almond banana cookies made for a very relaxing Sunday afternoon. I love a fun baking project every now and again. These cookies are soft and nutty with a slight sweetness from the ripe banana. They’re healthy, grain-free, easy to make and have no added sugar. Also, I wish I could share smells with you because these smelled so wonderful while baking, but hopefully you can experience it on your own! 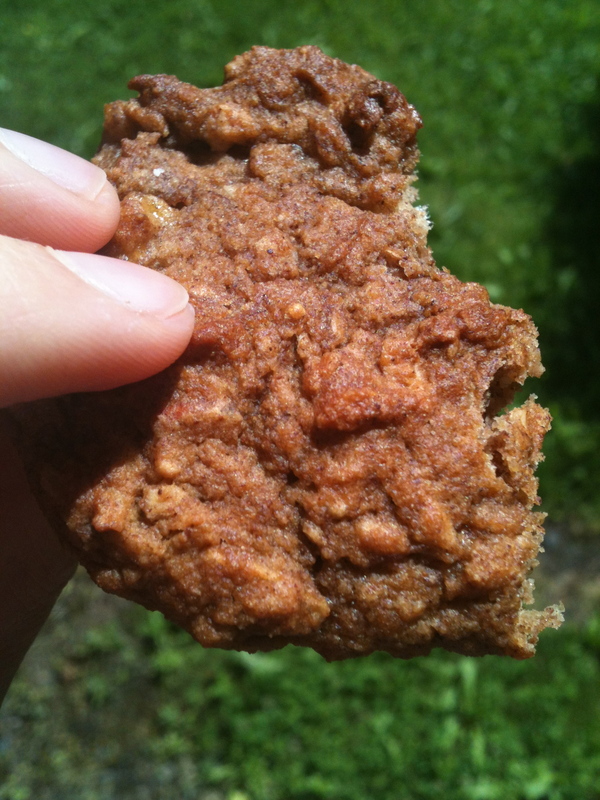 This recipe was inspired by Everyday Paleo’s, nutty cookies. Mash banana in large bowl with a fork. Add coconut flour, baking soda and almond butter; mix thoroughly. Drop by tablespoonfuls on a baking sheet lined with parchment. Bake for 25 minutes. Remove from oven and transfer to a cooling rack. These look SO good! Definitely trying these after my Whole30. I hope you do, Krystle! How far along are you on your Whole30? Today is Day 1, but the only change I need to make from what I’ve been eating for the past 30 days is to cut milk/cream from my coffee so shouldn’t be too difficult. Awesome and cheers to you! I’m not a coffee drinker myself, but I know people that like to use canned coconut milk as creamer. Have you tried it? It seems like it would work well since it’s nice and thick and fatty.